New York (TADIAS) – In 2015, the African Growth and Opportunity Act (AGOA) — which was signed into law in 2000 and is a trade program allowing eligible Sub-Saharan African countries to export goods to the United States duty free — will be up for review and renewal. Tadias recently interviewed Dr. Gezahegne Bekele, Senior International Economist at the United States Government Accountability Office who has worked extensively on AGOA. 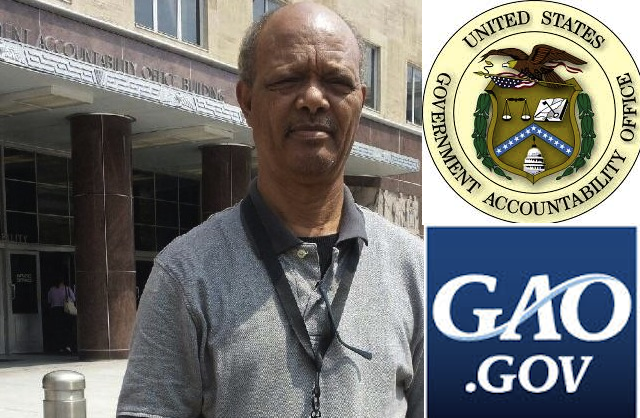 Dr. Gezahegne joined the US Government Accountability Office in 1989 after having taught for over two decades at several institutions including the University of Miami, University of Oklahoma and Florida International University. He has authored papers focusing on food security, and today he is an international trade specialist who has worked on issues including the cost of remittances. Dr. Gezahegne has provided economic research reports to US Congress and Senate. In addition to his expertise on AGOA, his economic development work has enabled him to travel to numerous countries in Asia, Africa, and the former Soviet Union. “To promote free markets, stimulate economic growth, and to facilitate Sub-Saharan integration into the world economy, US Congress signed AGOA into law on May 18th, 2000,” says Dr. Gezahegne. AGOA allows approximately 5,200 types of goods to be duty-free. Although crude petroleum is the largest import from AGOA countries, other items include automobile parts, steel, and cut-flowers. Yet, in spite of being so beneficial AGOA’s uptake rate is not as great as it should be. In an initial request by US Congress to examine AGOA’s contribution to trade expansion between the U.S. and Sub-Saharan African countries, the US Government Accountability Office (GAO) used US Census data on imports from 40 African countries and reported that AGOA countries’ imports remain small with 2% market share. “Preference is a discriminatory process,” says Dr. Gezahegne. “If you extend it to others the value becomes less and this is known as preference erosion.” He adds: “There is also the issue of program uncertainty. The one thing you would want for a trade development process is stability.” Taking this into account after 2015, the President is trying to lengthen the period between renewals so that AGOA will be in place for another 15 years. A press release from The White House on August 4, 2014 — during the US-Africa Leaders’ Summit — acknowledges that AGOA needs to be revised and expanded. The press release notes that the Administration’s “recent review of AGOA has revealed that, while the tariff preferences provided under AGOA are important, they alone are not sufficient to promote transformational growth in trade and investment.” Subsequently, President Obama’s administration has launched two major initiatives — Trade Africa and Power Africa. Dr. Gezahegne describes Trade Africa initiative as “one that allows East African nations to trade more with each other,” while Power Africa “is an initiative that GE lobbied extensively in an attempt to provide more electricity to African nations, increase livelihoods and at the same time sell American know-how.” Dr. Gezahegne also adds: “Ethiopia views itself as a growing hydro-electric power producer. Americans view Ethiopia as a potential exporter of thermal power as well.” In addition to textiles and garments, Dr. Gezahegne likewise sees a potential for Ethiopia to be a possible producer of organic cotton provided that the organic certification processes are in place. You can learn more about the African Growth and Opportunity Act at trade.gov/agoa.